The energy of the moon has such a profound effect on the tides of our oceans, but not just the waters of our Earth does it change, it also changes the internal dialogue of the human species as well. At certain phases of the moon the energy of the planet becomes much more alert, amped up, there is a spiritual tone in the sky and you may notice a weirdness about yourself. A Lunar eclipse is a very special full moon. Decisions we make, things we let go of, and things we finish during this waning cycle have significance in our future. When the Moon casts a shadow on the earth, or when the fullness of the moon shines in our eyes, there is something very mysterious happening below the surface of who we are. Why do we seem to dream more when the moon is doing it’s magic? Just like the tides in the ocean there are tides within our body as well. The moon causes our personal tides to rise and fall just like that of the ocean. Anything that effects our physical body also effects our mind. 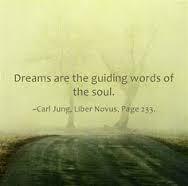 Dreaming has everything to do with our Soul wanting to communicate with us. Our subconscious using our conscious mind to do just that. Dreams can be very confusing, dark, scary and energetically seem to keep us active when we are asleep, we might wake up completely exhausted even though the clock say’s we slept for 8 hours. Dreams have so much to tell us, especially when the moon is in an eclipse for instance. The tides of energy within us are moving and shifting, a perfect opportunity for our soul to ask us to move with this energy and make some changes. Our moon dreams are the souls way of showing us clues, perhaps to release something long outdated and old. Our emotions might be on high alert and our dreams seem to bring out the worst in us. Roll with the shifting waters within, listen to what your tears or your anger is trying to tell you. All will be well, the Universe is seeking transformation, don’t be afraid, even the deepest, darkest of dreams have a way of helping us see the truth.